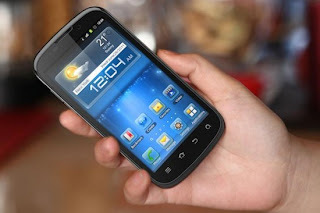 The dual-core Tegra 2 last year, successfully entered the smart phone market, but Nvidia has not relaxed, continue to improve its core technology. Recently published by ZTE the Mimosa X is equipped with a new Tegra processor, in particular, is the integration of acquired last year Iceraa modem technology to significantly enhance the rate of data transmission and stability, speed up the connection response, but also have low power consumption features. The Mimosa X-equipped with the Android 4.0 Ice Cream Sandwich operating system has a 4.3 inch qHD resolution (960 × 540) touchscreen, 5 megapixel rear lens and before the hearing lens and built-in 1GB memory and 4GB of memory, scalable up to 32GB. In addition, it also supports HSPA +, 21Mbps, Dolby sound, DLNA and gyroscopes and other functions. Is expected to launch in the mainstream market in the second quarter of this year, also for display during the MWC.